Replacing the garage door on your Canadian home is one of the easiest things you can do to improve its curb appeal and value. If you are shopping for a new garage door for your home, there are several things you will want to consider to help choose the best one. The garage is not normally heated and cooled like the rest of your home. This means your garage can be much colder or warmer than the rest of the home when the garage door is not insulated. In addition, any air leaks around the entrance to your home from your attached garage can have a direct effect on your heating and cooling energy bills. Choosing an insulated garage door helps improve the efficiency of your home. A well-insulated garage door could lower your energy bills. Plus, it will keep the garage a bit warmer on those cold winter days! You want your new door to include several different safety features to keep you and your family safe. New doors should have special floor sensors that detect obstructions and prevent the door from opening and closing. If you opt for an automatic opening door, verify the door opener has an emergency stop and return feature so if it impacts an object before fully closed, it stops and opens back up. 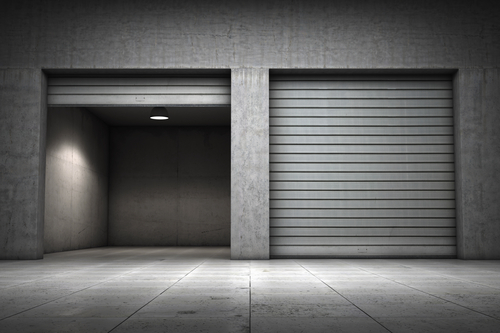 There are different styles of garage doors you will find. When selecting the new door, think about how the style will impact the appearance of your home. Does it fit well with your current exterior colours and trim? Additionally, look at the styles of doors your neighbours whether your new door fits well with the homes in the community. Do you want to know when your garage door is opened when you are away from home? Do you want to ability to know if the door is opened or closed and the option to close it remotely? Do you want the flexibility to use an app on your smartphone to open and close the door? If you answered yes to any of these, then you want to look at doors and door openers that include the latest technology features. You can even find garage door systems that use a pin pad on the exterior of the home to open and close it. To learn more about new residential garage doors for your Canadian home or assistance in finding one with the right amount of insulation, in the style you like and safety and technology features, please feel free to contact Richards-Wilcox Doors at (800) 667-1572 today! You can also take advantage of our free Richards-Wilcox Design-A-Door app available on our website to create your new garage door with all of our available options at your fingertips!